War Horse comes to Devon in August and Muddy caught up with one of the cast. 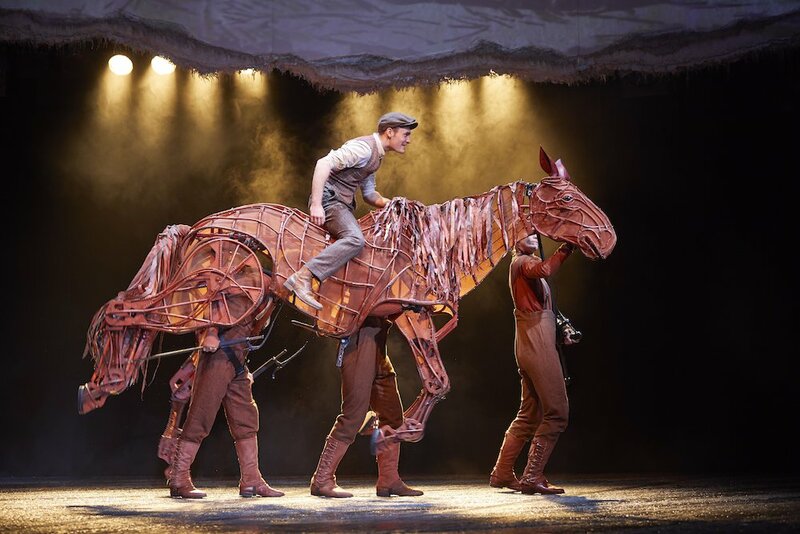 Michael Morpurgo's moving story comes to Plymouth at the end of August. 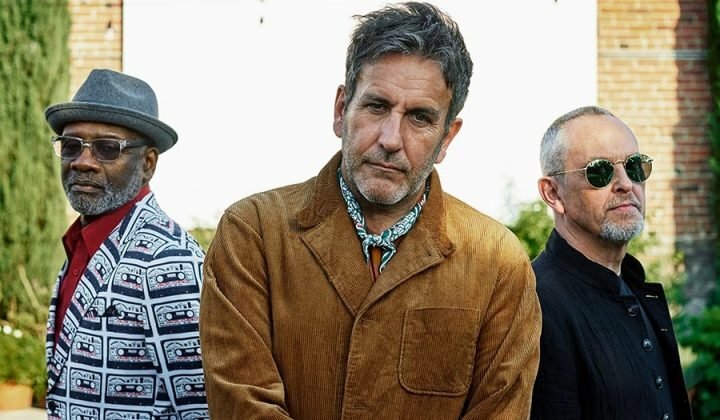 Muddy caught up with Thomas Dennis, AKA Albert. At the beginning of the play, Albert is only 14 years old and works full time on his parents’ farm. He is very isolated and doesn’t have any friends. That is, until his father spends the mortgage money on a young foal they can’t afford. 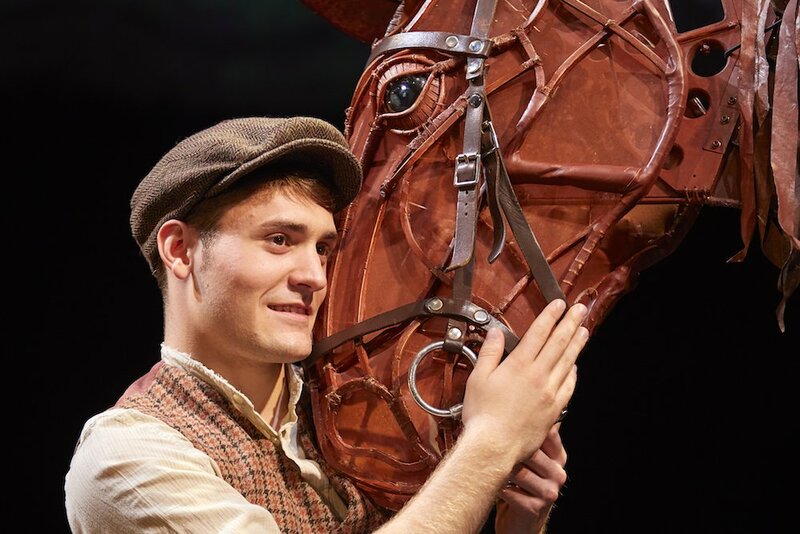 Albert is burdened with the responsibility of looking after the horse – Joey, who becomes his best and only friend. Albert’s journey throughout the play is a constant battle to be with Joey. 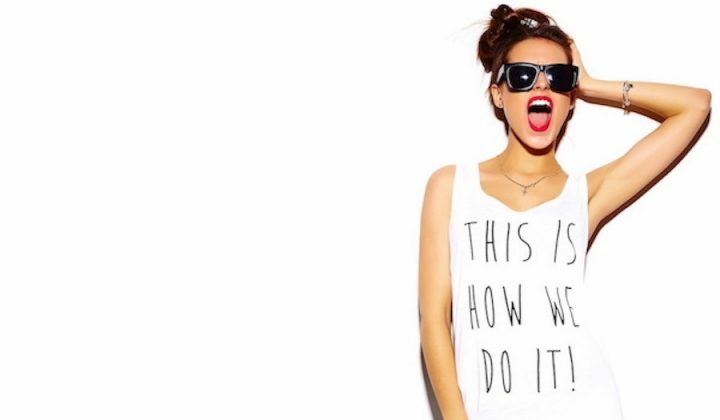 I’d imagine it’s not an easy role – how have you prepared it? Albert is definitely one of the biggest challenges I’ve had to face so far as an actor, alongside Christopher in The Curious Incident of the Dog in the Night-Time. The first stages of preparation involved a lot of research. Fortunately, I ride horses in my spare time so I feel like I can bring that experience and knowledge to the character and the show. I took on a trip across Northern France and the Western Front, following in the footsteps of Joey and Albert in the play. I believe this show to be a commemoration of all the men, women and horses that gave their lives in the Great War so to see the landscapes and read the names on the gravestones really allowed me to connect deeply to the subject. And lastly, it took me a solid 10 weeks of practicing every day to finally learn how to owl whistle, which is essential to the role of Albert! 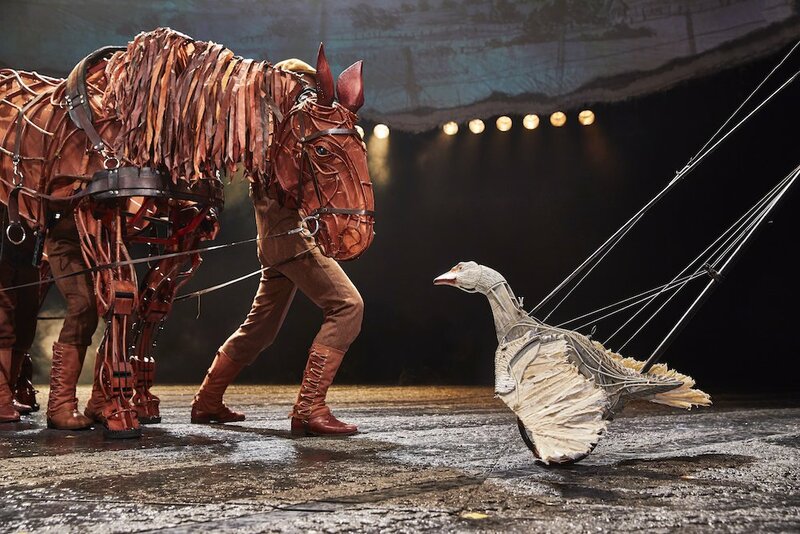 It is such a blessing to work with the puppets on this show, from the horses to the goose. They bring our world of animals and warfare to life and without them the show would not be where it is today. I must admit, that since the first day I met Joey, I have never once, not believed him to be a horse. I am always aware of the puppeteers for health and safety reasons, however for me they just become Joey and I forget they are even there. Our puppeteers on this show are so incredible. The detail of their work never ceases to amaze me. The Great War marked a huge change in the relationship between horses and men. It marked the end of the cavalry (On the Western Front) as trench warfare made the use of mobile cavalry units obsolete. As we depict in this show, the first cavalry charges of the war against machine guns were disastrous for the men riding and the horses. Horses never lost their significance though, as their role changed from a fighting role to a transportation role. It was horse power that supplied the men on the front lines with supplies and ammunition. Although historians cannot specify the number of Horse casualties in the war, it is believed that nearly as many horses died as men did. The shift for Albert from being in Devon to the front lines is massive. 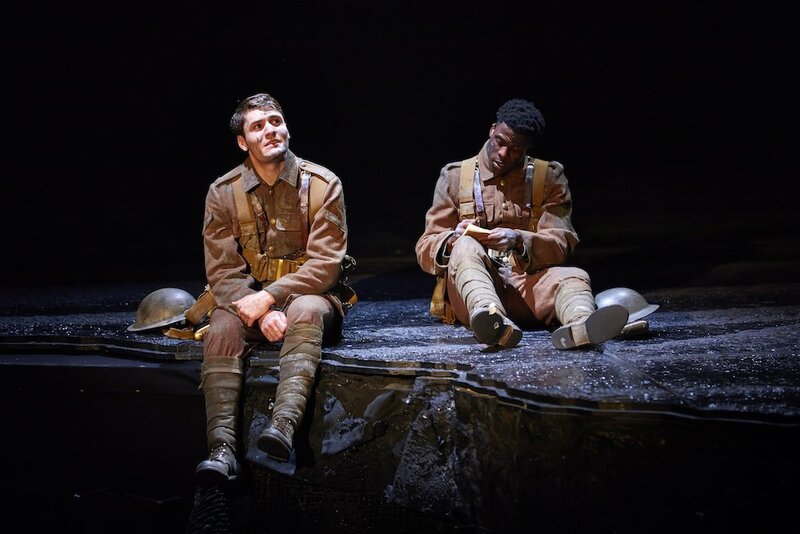 For a boy who has never left Devon to suddenly find himself in the hell of the Western Front is exciting to play and every experience he has is new and even more traumatizing than the first. Although, interestingly enough, the young men who worked on farms and out in the countryside were more adept at adapting to life in the trenches as they were not unused to the hard labouring conditions of farm work. 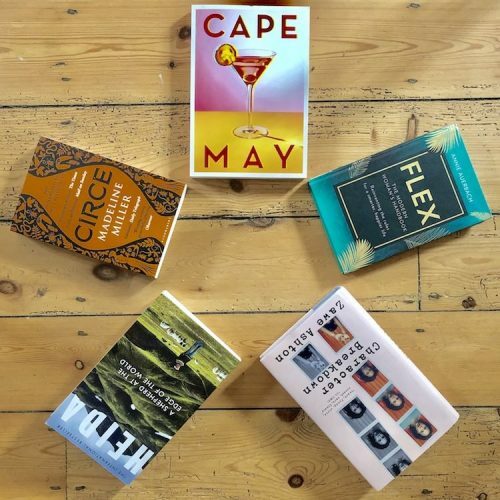 It explores a topic that has affected every family in Britain in some way and spreads across the entire world. At the heart of the story is a simple relationship of love between a man and his horse and their desire to be reunited. I believe stories of love between people and animals can always be related to by audiences all over the world. I have never toured the UK before, but I don’t think there is a better way to visit all four corners of the country than to be accompanied by such an awesome show. My focus is to make sure that all the horse lovers around the country can watch and believe the relationship I have with Joey. I consider Albert to be another step forward in my career in terms of difficulty. The main difference between Albert and Christopher, who I played in The Curious Incident of the Dog in the Night-Time, is the focus on the physicality. In Curious, I had to tackle front flips, back flips and walking on walls whereas I feel I have to explore levels of trauma with Albert’s character much more. Everything he experiences builds up to the last scene of the show. Whereas Christopher, as a character, is very skilled at compartmentalising all of his emotions and suppressing them. However, the physicality of the shows I have done in the past, including Peter Pan where I got to fly, have helped me with Albert as I have one moment in the show where I have to jump onto the horse. Probably the most terrifying, yet most exciting part of the show for me. 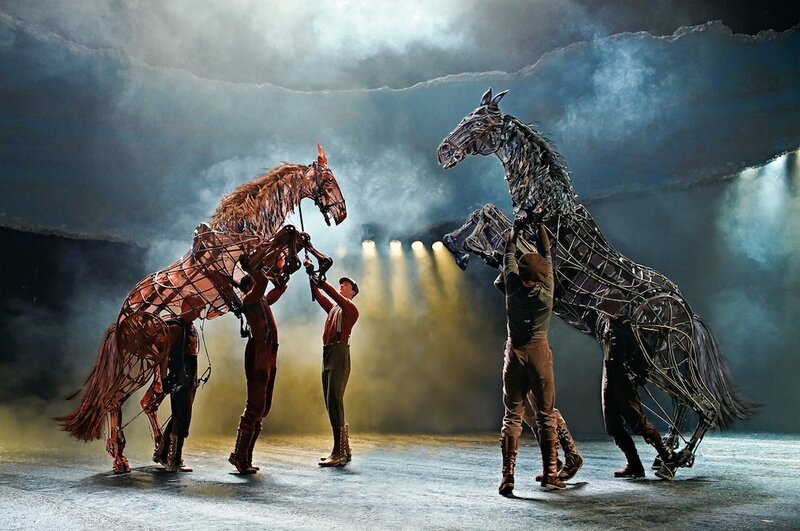 War Horse is at the Theatre Royal, Plymouth from Wed 29 August – Sat 15 September. Book tickets here.